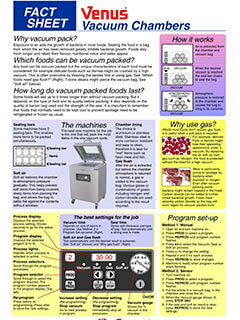 The vacuum sealer you require can vary depending on your needs. 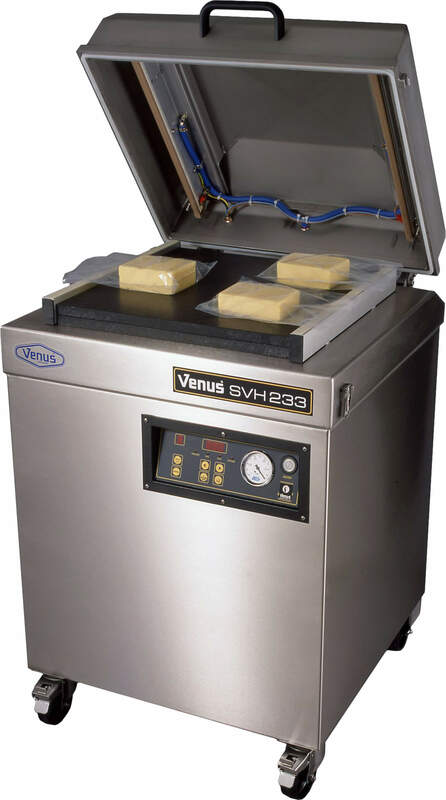 For instance, when choosing a vacuum packaging machine, ensure that you’re selecting a machine that enables you to seal the most items you can in one cycle, boosting efficiency. Machine size (WxDxH): 680mm x 670mm x 1070mm. 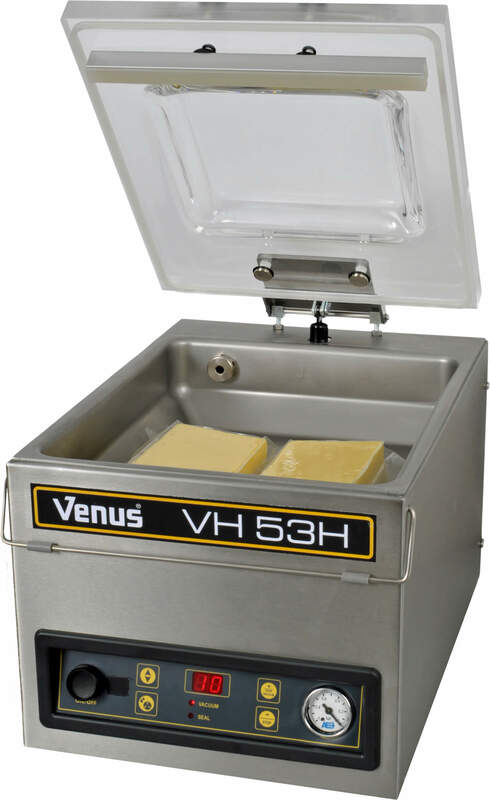 Effective Chamber size (WxDxH): 510mm x 500mm x 270mm. Digital control panel with 10 programs. 3.5 mm wide double seal. Soft air. 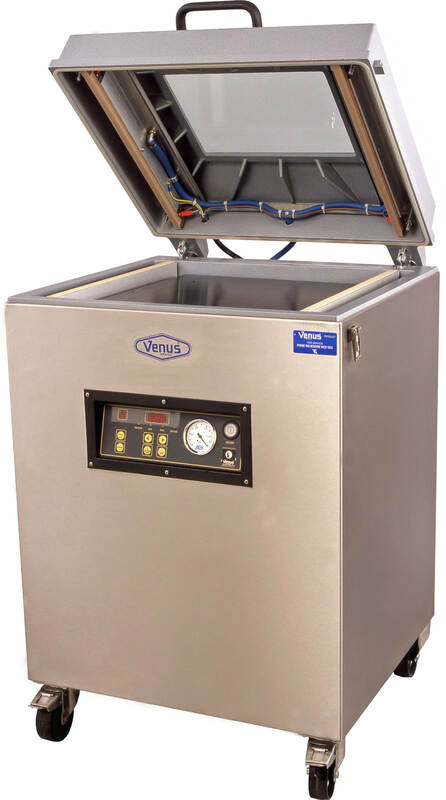 This larger, free-standing vacuum chamber, allows for vacuum sealing multiple items at the same time. It comprises two 500mm sealing bars (on the left and right sides of the unit), 10 different programs to facilitate different packing runs, and sits on castor wheels so is fully mobile. 3 phase power required and comes with optional gas flush facility. 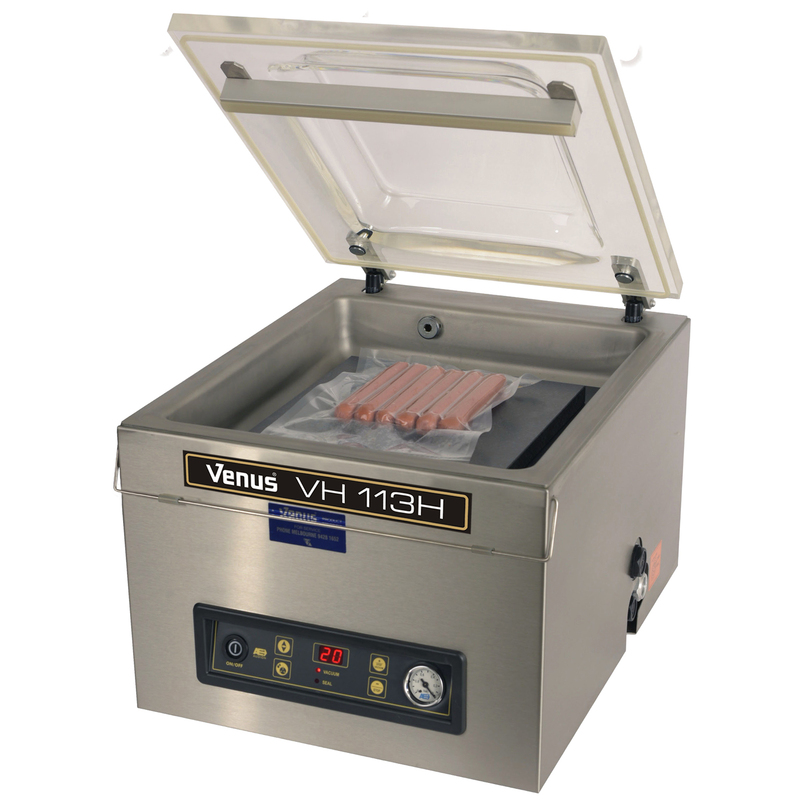 This stainless steel, benchtop vacuum chamber has been designed with a domed/high lid to to allow bulkier products to be vacuum sealed. 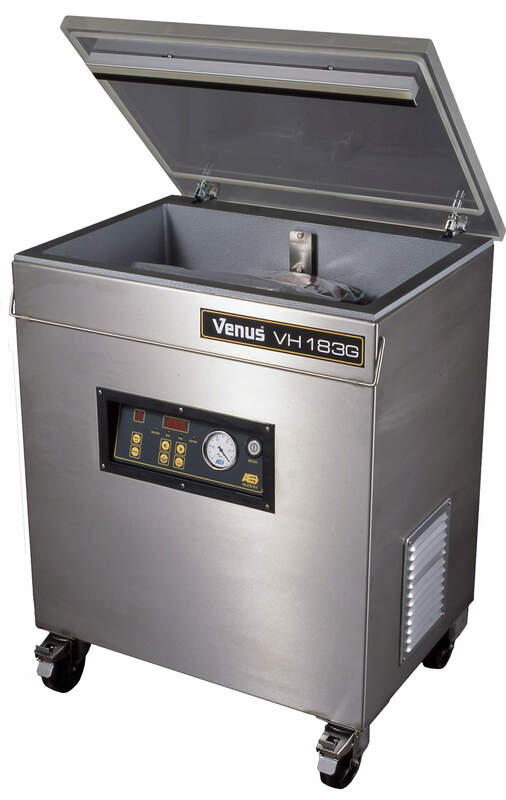 The extra space provided with this vacuum chamber increases the versatility of this machine. 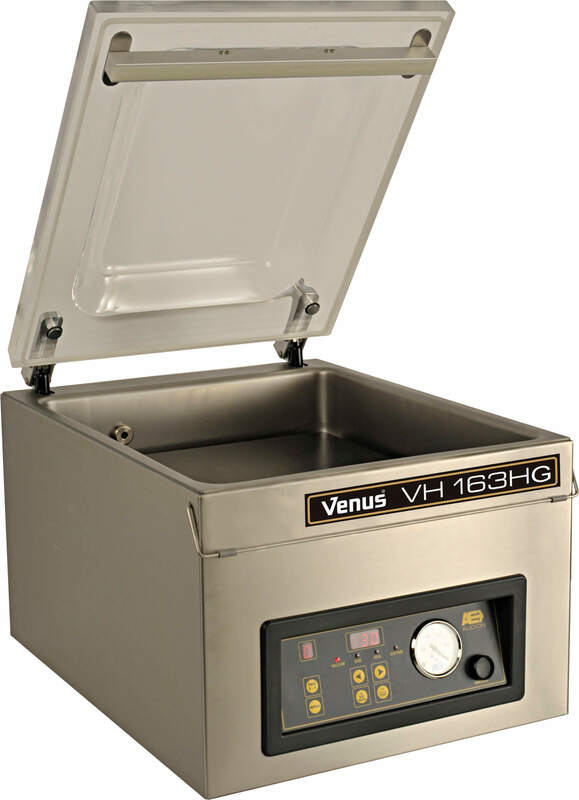 In addition the VH113H only requires single phase power and has a transparent lid for improved visibility. Machine size (WxDxH): 330mm x 450mm x 295mm. Effective Chamber size (WxDxH): 280m x 310mm x 130mm. Digital control panel with 1 program. 3.5 mm wide double seal. Stainless steel chamber. 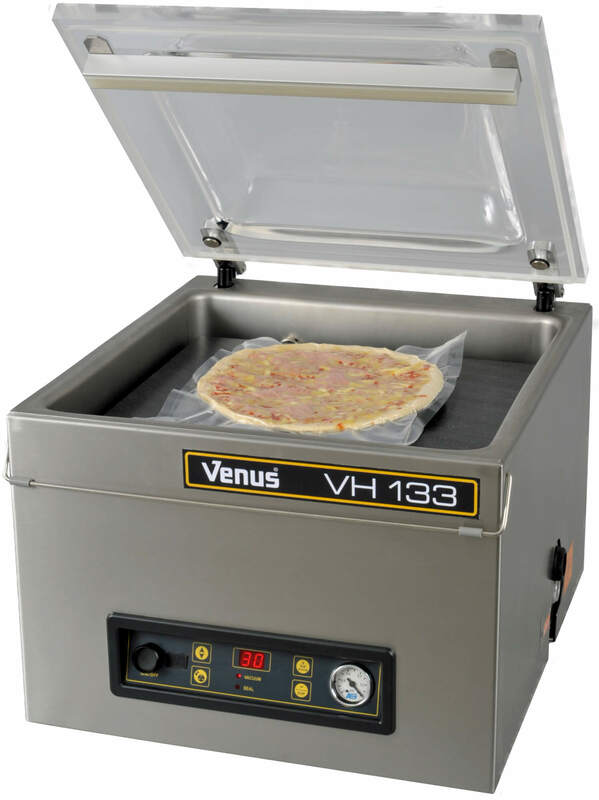 Effective Chamber size (WxDxH): 280mm x 310mm x 130mm. 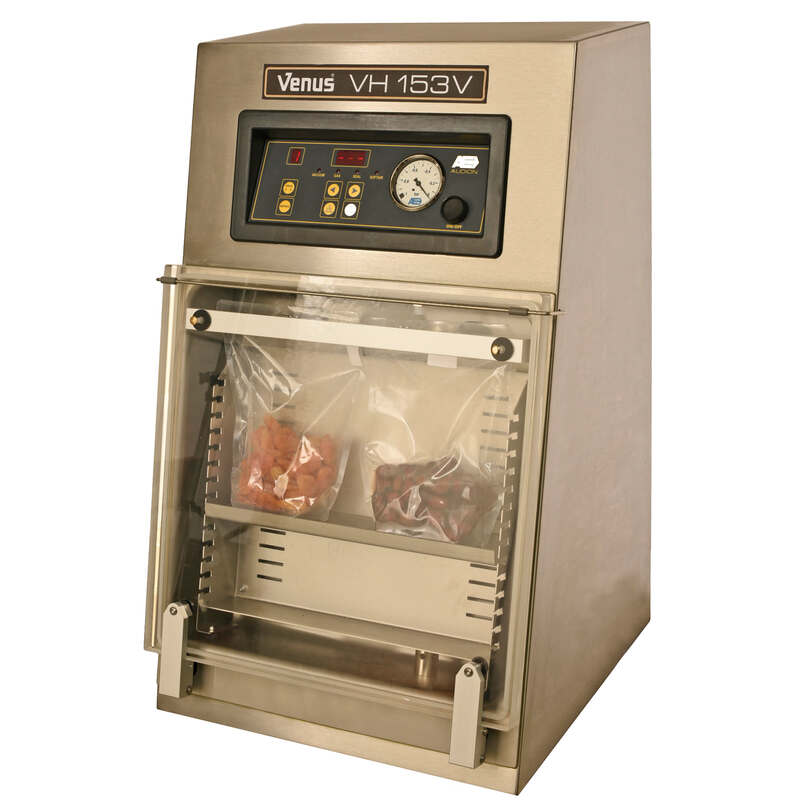 The VH153V Vertical Stand Up Vaccuum Chamber is designed for vacuum packaging stand up pouches of solids, liquids or powders. The internal platform can be adjusted easily for different stand up pouch heights. Machine size (WxDxH): 490mm x 525mm x 430mm. Effective Chamber size (WxDxH): 410 x 370mm x 180mm. Machine size (WxDxH): 540mm x 510mm x 440mm. Effective Chamber size (WxDxH): 420m x 420mm x 170mm. High lid Gas flush nozzles. Machine size (WxDxH): 490mm x 525mm x 445mm. 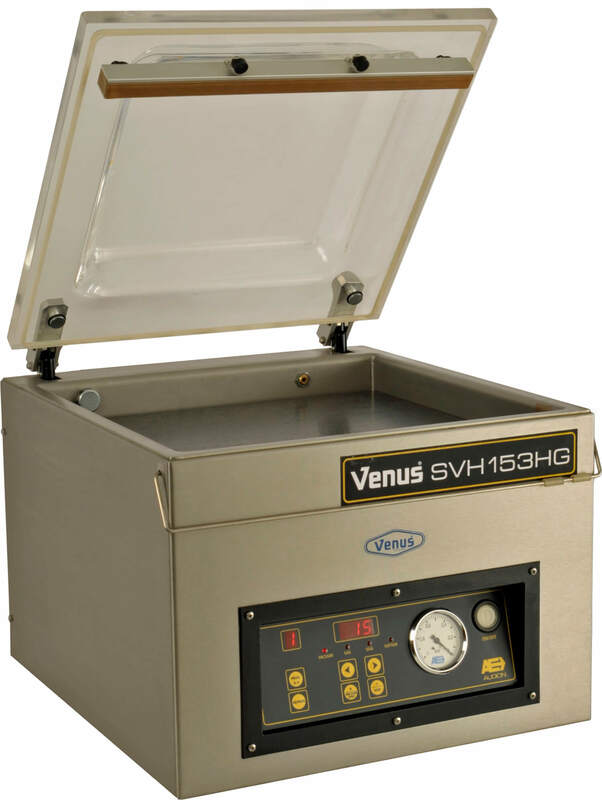 Effective Chamber size (WxDxH): 410mm x 370mm x 180mm. 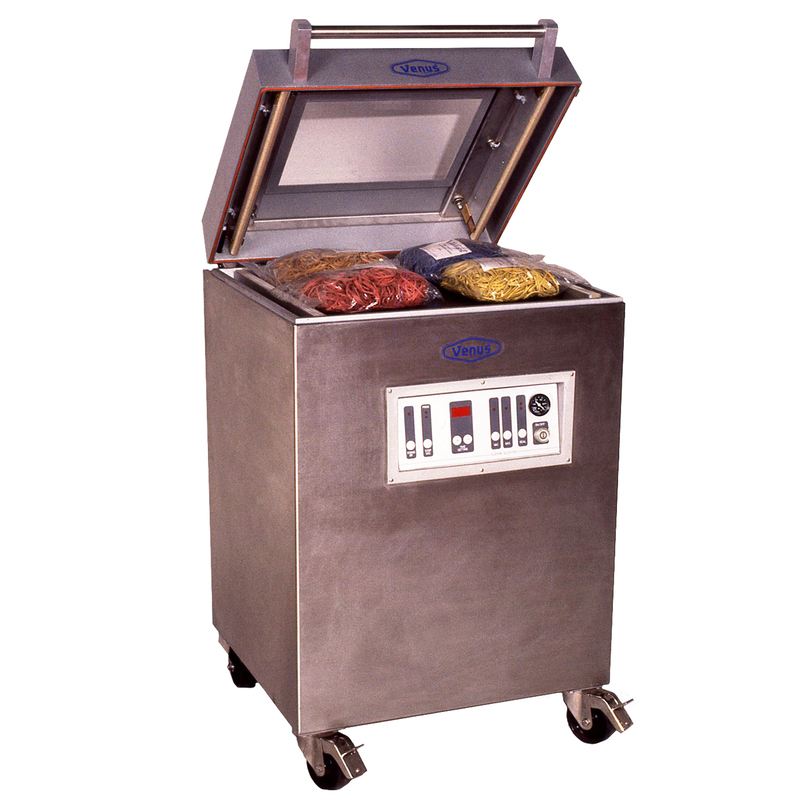 High lid Soft air, which prevents soft items from being crushed & sharp items from piercing the bag. High lid Soft air & gas flush nozzles. Machine size (WxDxH): 490mm x 610mm x 445mm. 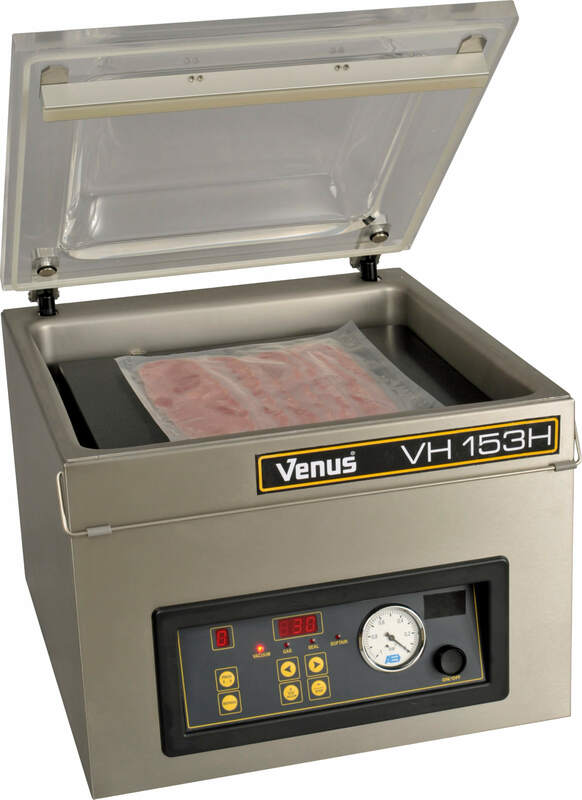 Effective Chamber size (WxDxH): 410mm x 460mm x 180mm. 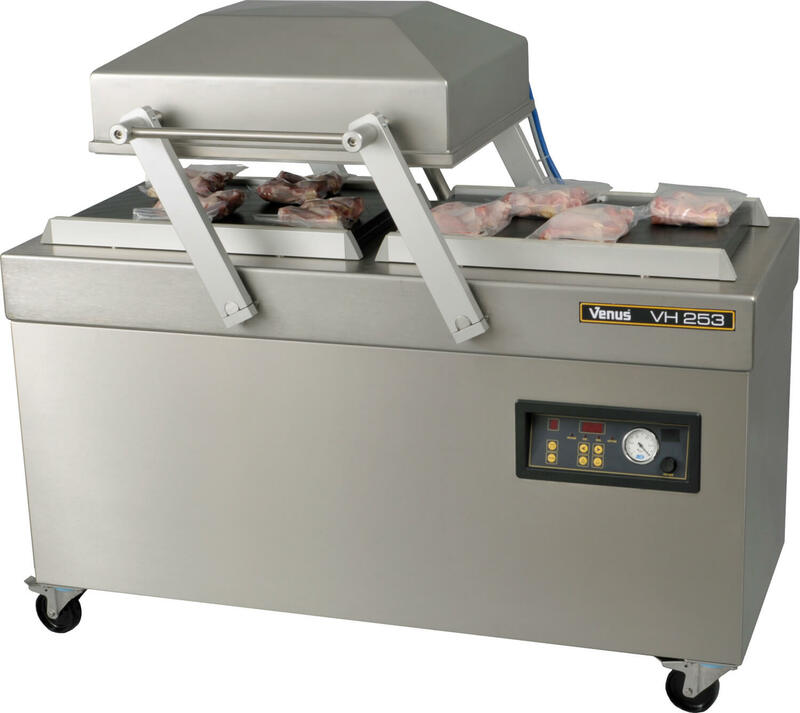 Machine size (WxDxH): 680mm x 540mm x 880mm. 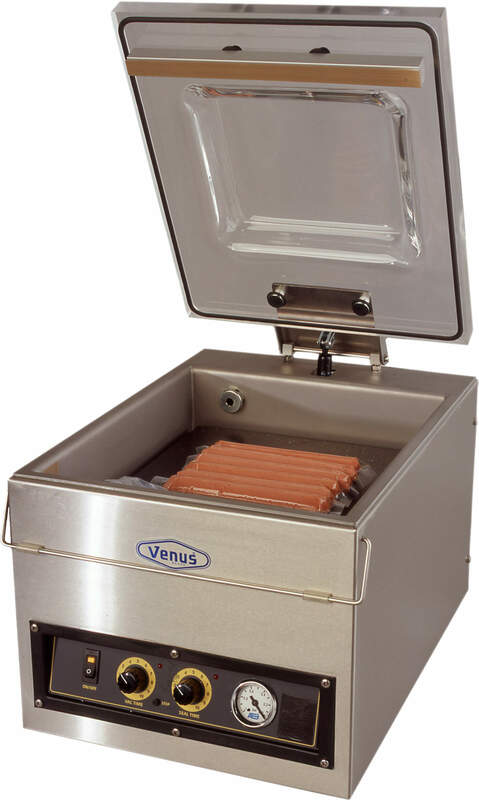 Effective Chamber size (WxDxH): 580mm x 340mm x 95mm. Sloped chamber for packing liquids. Machine size (WxDxH): 680mm x 670mm x 1030mm. Effective Chamber size (WxDxH): 500 x 510mm x 200mm. Sealing bar length: 2 x 510mm. Stainless steel flat working plate. Soft air. 3.5 mm wide double seal High transparent lid & gas flush nozzles. Machine size (WxDxH): 690 x 710mm x 1110mm. Effective Chamber size (WxDxH): 500mm x 510mm x 200mm. Stainless steel flat working plate & Stainless steel lid. 3.5 mm wide double seal Soft air & gas flush nozzles. Machine size (WxDxH): 905mm x 770mm x 1060mm. 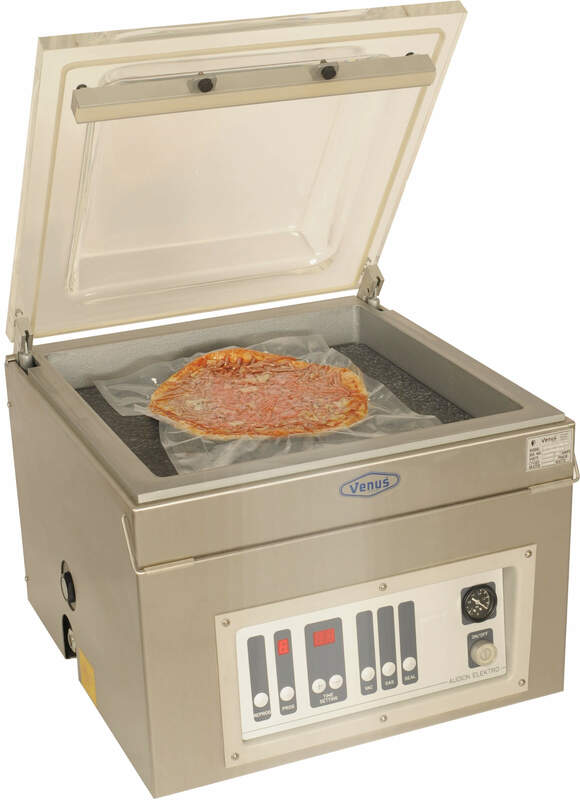 Effective Chamber size (WxDxH): 710mm x 550mm x 235mm. Sealing bar length: 2 x 550mm. Aluminium chamber & aluminium lid with window. 3.5 mm wide double seal Soft air, which prevents soft items from being crushed & sharp items from piercing the bag. 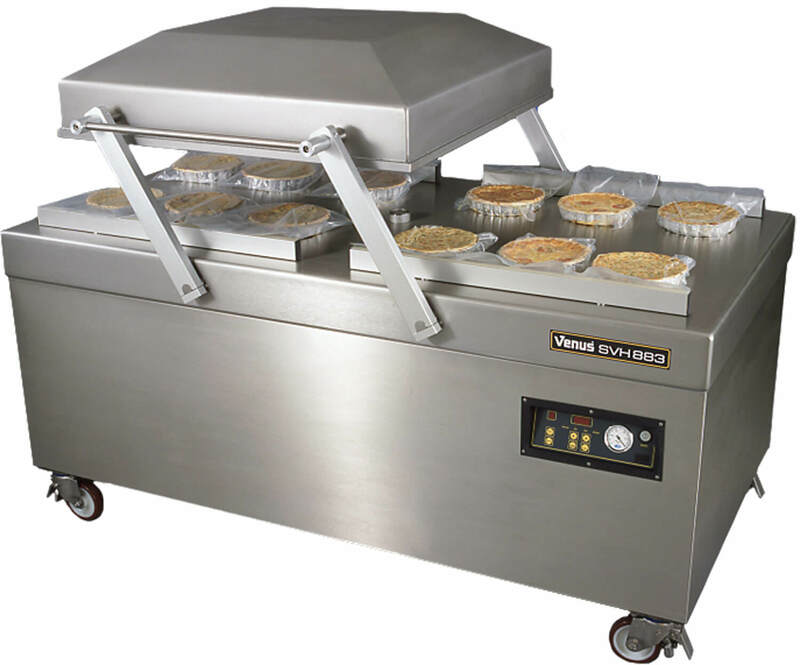 Machine size (WxDxH): 1490mm x 820mm x 1100mm. 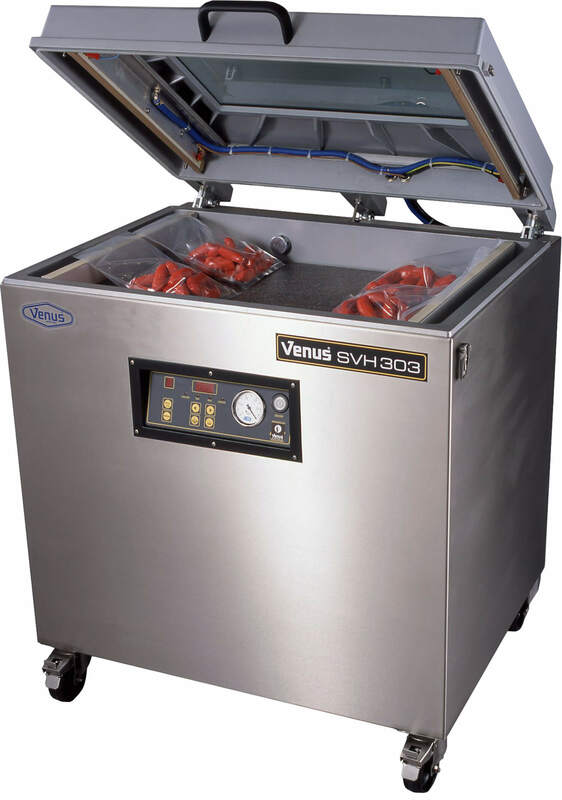 Effective Chamber size (WxDxH): (2 x) 610mm x 400mm x 240mm. Sealing bar length: 4 x 610mm. Stainless steel flat working plate & stainless steal lid. 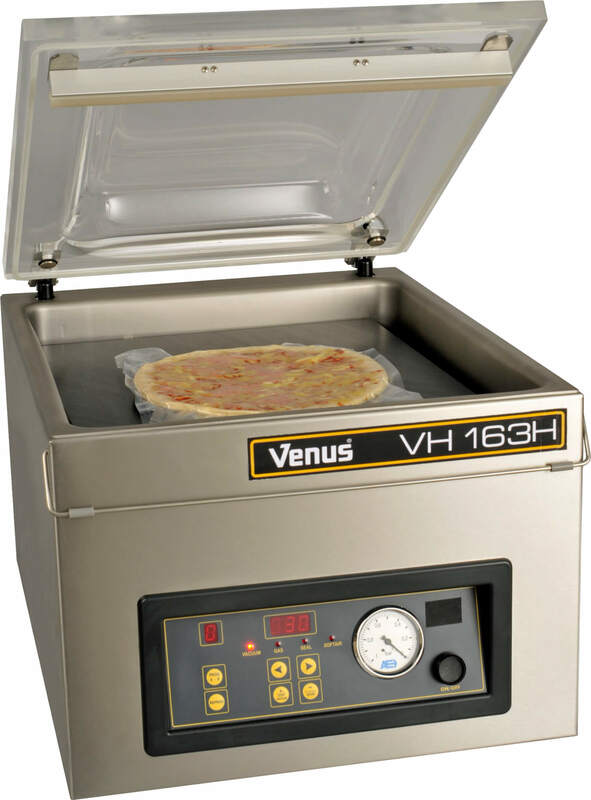 Machine size (WxDxH): 1545mm x 790mm x 1090mm. Machine size (WxDxH): 1985mm x 1215mm x 1170mm. 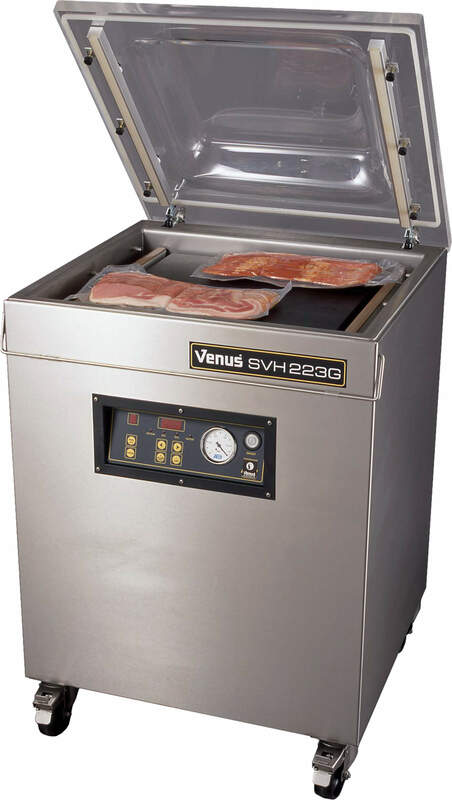 Effective Chamber size (WxDxH): (2 x) 830mm x 830mm x 210mm. Sealing bar length: 4 x 830mm.